I grew up in the Bay Area of California, where I’ve developed a love of backpacking, kayaking, and enjoying the outdoors. My passion has long been working with people, and I have worked in many roles including serving as an instructor for elementary school students and leading trips abroad for teens. I am currently returning to school to obtain a Bachelors in Communicative Disorders, with the goal of eventually becoming a Speech Language Pathologist. I became interested in communicative disorders from working with several populations that often struggle with communication challenges - specifically children and teens with autism, and adults with dementia. So many factors influence our ability to be understood, including speech, language ability, social skills, and cognition, and seeing how these different elements vary in each individual is fascinating to me. After shadowing speech language pathologists who design specific therapies and activities to address every communication challenge imaginable, I knew that this field was a good fit for me. Have you traveled abroad before? If so, where? What have you learned in your travels? I have traveled to many Latin American countries including Costa Rica, Panama, Guatemala, and Peru. In Costa Rica, I taught English at a local school and stayed with a Tica (Costa Rican) family in a remote area. I learned a lot - specifically, I learned firsthand about the challenge of conveying ideas when operating in a second language! Luckily, I gained a better proficiency in Spanish by the end of my travels, but I carry that lesson with me as I interact with non-native English speakers in the U.S. I also gained an appreciation for the community-oriented aspect of many Latin American cultures. What have you learned about yourself as you've been a student at your current University? As a student, I have found that my learning is more powerful when I can apply it to my own life. I have been taking classes that cover communication challenges, but I also make time to shadow professionals in the field and volunteer, such that I can apply the things I’m learning in real life. What are your future career plans? How do you plan to use your studies to achieve your future career plans? In the future, I plan to get my masters in speech language pathology and to practice in this field. My current studies in communicative disorders are an important stepping stone to achieve this. I see myself practicing in a variety of settings, from a school district, to an outpatient rehabilitation clinic, to an assisted living facility. I hope to use creative games, music, and other activities to make learning fun and personalized for my clients. What do you envision yourself doing in 10 years? In 10 years, I plan to be working closely with a variety of clients to improve their ability to communicate. I hope to have an extensive arsenal of activities at that point in my career, so that I can find ways to engage every individual. How will winning this scholarship help you in your career goals? This scholarship is immensely helpful to me in helping me afford my schooling at this time. Since I am planning to get my masters in speech pathology shortly after my bachelors in communicative disorders, it is a priority for me to avoid extra debt in preparation for more education. I am working full time while completing this program online, and this scholarship is very helpful in reducing my financial strain! What inspires, or motivates you? Why? Seeing individuals make progress—in any area of life in which they are hoping to achieve change - is inspiring to me. Do you have a unique talent? If so, what is it? I play the guitar and write songs about quirky topics. On many occasions, I have been asked to write a personalized song for an occasion - a wedding, retirement party, a certain school activity - and I have always had a lot of fun doing this! Think of a few companies that inspire you? Why do they inspire you? Companies that treat their workers well inspire me. One example would be Costco, where the average wage is around $20, and the majority of workers have health insurance. I like companies that take care of their people! “No one can do everything, but everyone can do something” (Max Lucado). This quote reminds me that we all have value and unique talents, and that our small actions can make a difference. What do you love about VelvetJobs? How have we helped you in your career endeavors? 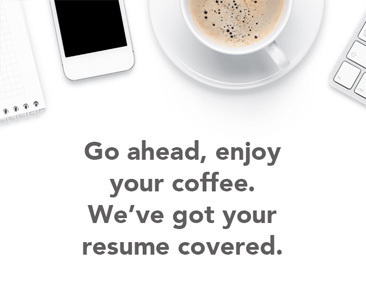 I love that VelvetJobs covers a wide range of interconnected topics, from resumes, to job search resources, to relevant company statistics. On VelvetJobs, I was able to research some companies of interest and to see data on the career paths of many of their employees. This information is valuable in planning one’s own career journey. I also am impressed by the number of jobs posted in the areas of fashion, media, and entertainment, since these are sometimes thought to be more elusive job markets to break into.